C-Level Briefing: CBR talks to Tech London Advocates ‎founder Russ Shaw on Sadiq Khan’s role in making London the tech capital of the world. At the beginning of this month, 9th May, Boris Johnson left his home of eight years, City Hall. The polarising political figure certainly made his mark on the capital – he introduced the New Routemaster bus, oversaw the 2012 Olympic Games, championed the city’s financial sector and, of course, launched the eponymous Boris Bike cycle scheme. The tech sector also benefitted from Johnson’s tenure as Mayor of London; initiatives included a £25m fund for tech start-ups, a Far East trade trip promoting tech, and the launch of the London Tech Ambassadors Group and the International Business Programme, among others. However, Johnson is now off, leading the charge on Brexit – and as a Tory exits the top job at City Hall, a Labour man takes his place. Khan’s victory in the race to city hall was driven by promises to freeze London transport costs and bold action to take on London’s housing crisis, with these promises winning over the electorate to give Khan the coveted seat in City Hall. Khan’s election also heralded the appointment of London’s first ethnic minority mayor – and it seems this ‘first’ will not stand in isolation, for Russ Shaw, founder at Tech London Advocates (TLA), believes Khan has what it takes to be London’s first truly digital mayor. Shaw has the credentials to back up this claim – appointed as a London Tech Ambassador under Boris Johnson and a board member of the Tech City Advisory Group, Shaw was one of the authors of the 2016 Mayoral Tech Manifesto which set out a series of recommendations for the incoming mayor. 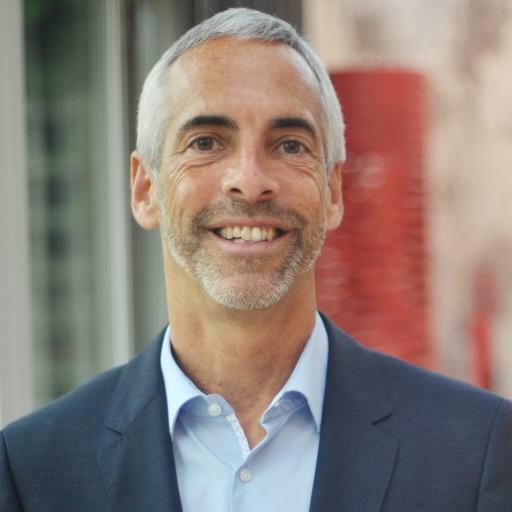 He also has some serious tech credentials having previously held the role of Vice President & General Manager of Skype and Global Innovation Director at Telefonica. The aforementioned Mayoral Tech Manifesto was billed as a blueprint for London’s first truly digital mayor, setting out 13 policy recommendations for the development of London as a digital city – a blueprint which Shaw believes Khan is receptive to, and one that he can deliver. "I certainly think he has the capability and ability to be that first digital mayor." Shaw said speaking to CBR. "I met Sadiq last autumn on his tech tour of East London and one of things that I really liked about him was that he was very candid. He said that he wasn’t a digital or tech expert and didn’t know the ins and outs of the tech community, but really wanted to learn. He wanted to understand the need to have more and more people with deeper and broader digital skills and wanted to make sure that we don’t create a digital divide as part of it. "From that broad perspective I think he will be our first truly digital mayor, because he comes at this with an open mind set, a willingness to learn and a real appreciation for what digital and tech can do, not just for the London economy but more broadly." The Tech Manifesto consisted of 21 pages of insight and advice fleshing out the 13 recommendations put forward by Tech London Advocates, techUK and Centre for London. With so much to do, where should Khan start? Shaw drew upon a statement from President Obama to highlight that there is no definitive answer to that question. "I go back to President Obama when he was running for president, he said, ‘I’m not just going to focus on one issue, I need to multi-task’, and I think Mayor Khan needs to come in and multi-task." Shaw recognises that housing is one issue topping Khan’s agenda; an issue which Shaw cannot disagree with and one which if improved will have a positive impact on the tech community who live and work in the city. However there are two connected issues which Shaw believes deserves particular attention from Khan – shortage of talent and digital inclusion. Digital inclusion, a key recommendation from the Tech Manifesto for a strategy that puts digital opportunities in the hands of all Londoners, sits well with one of Khan’s key campaign slogans as ‘A Mayor for all Londoners .’ Following the publication of the Tech Manifesto, Khan pointed to future policy which would be focused on skills and digital inclusion. 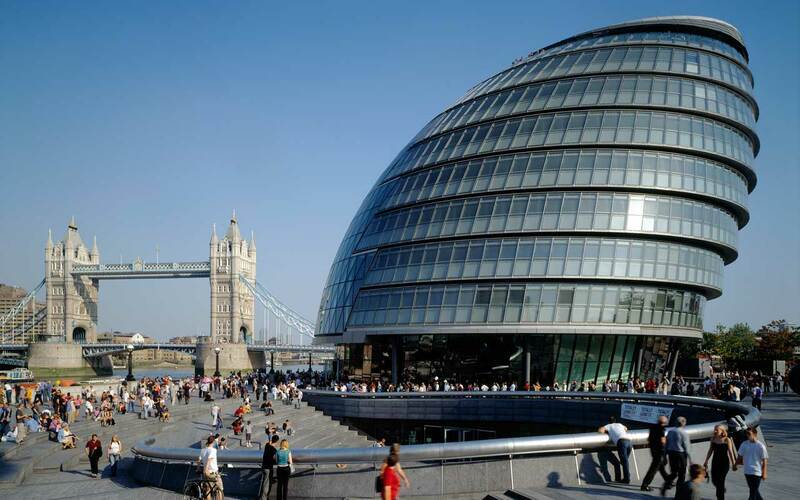 Khan said: "I welcome the Mayoral Tech Manifesto, which contains a number of useful recommendations for cementing and furthering London’s status as a world-leading hub of tech industry, and ensuring that we become a beacon of digital inclusion. In particular I’m looking at how best we can ensure that all Londoners have the opportunity to gain the tech skills they and businesses need to succeed, how we can protect and expand space for small business and start-ups, and deliver the improved digital infrastructure we need to keep pace with our competitors." Shaw certainly believes that the digital inclusion recommendation resonated strongly with the new mayor, drawing upon a 2015 conversation with Khan about bridging the digital divide. "When I spoke to him last year, I told him that the irony for me was that we are building this great tech city and a lot of it sits on the border of some of the most deprived communities – not just in London but across the UK. I said that our collective challenge is how do we build bridges, how do we go into some of these areas like Tower Hamlets and show them that the tech community is a very open and inclusive community. Don’t think that because you don’t touch digital as a coder or programmer that you wouldn’t be welcome." Building bridges is where, Shaw believes, he, TLA and city hall could work together – or, should I say, continue to work together. Shaw was appointed a London Tech Ambassador under Boris Johnson, who created the London Tech Ambassadors Group with the goal of making London the tech capital of the world and driving jobs and growth across the city. TLA, a private sector coalition of over 2,700 experts, provides a wealth of knowledge and resources for which the mayor could call upon. The future of the tech ambassadors are in the hands of Khan, but Shaw is happy to continue in the role and suspects that Khan will not be shy in reaching out for help. "He [Khan] has always been very forthcoming saying ‘I am going to need your help’, ‘I want you to work with me’ and I think he wants to be a very pro-business, pro-tech mayor. For me it’s the public/private element of tech and business that we can bring to the table with him – we can bring the start-ups, the big companies, the investors to the table with him and say these are the issues – when it comes to digital skills, this is what these companies are looking for in the future. When it comes to education and schools, this is what we are looking for.
" When it comes to immigration we would like him to be a voice and say that we need to bring more talented migrants in, not just from Europe, but from around the world." It’s not all driving policy and legislation, however, with Shaw believing that Khan can make an impact by going global. Shaw has seen himself the ‘enormous’ value that such trade envoys and trips can bring, having been on a number of then with Johnson. "Many of our advocates have said that when [Khan] has got his programme in place and he’s pushing on his agenda, we would like him to get out to other parts of the world and talk about the London tech community and what’s going on in digital – how we are trying to not only become a digital capital of Europe, but a digital capital in the world." "Attract start-ups, scale-ups to come to London. It doesn’t require legislation it just means him going out and doing it." It is early days yet in the tenure of Mayor Khan, time will only tell if he can truly become London’s first digital mayor. He does, however, have the backing of many organisations like TLA, and experts like Shaw, who can guide and aid London’s transformation into the digital capital of the world. Here’s hoping he embraces his unique role as Mayor of London, acting as champion, collaborator and broker in the development of London as a digital city.